Now in its 7th year, World Water-Tech North America has gained global recognition as a summit where deals are made and new partnerships are formed between utilities, engineering giants, technology innovators and large-scale investors. 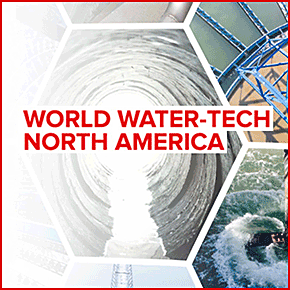 World Water-Tech North America is where US and Canadian water utilities come to find solutions to today’s challenges of digitization, resource recovery and infrastructure finance. Held in the heart of downtown Toronto, one of the world’s fastest growing technology innovation hubs, this is the place to meet start-ups, tech giants, operators and investors.